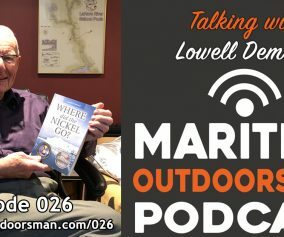 In this episode of The Maritime Outdoorsman, host Dave Doggett talks shark fishing with Captain Art Gaetan of Blue Shark Charters. Did you know the waters off our Maritime coast are teaming with sharks? It’s true! 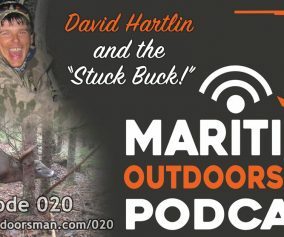 And if you are looking for a true angling adventure unlike any other, listen to this episode and qualify to win a spot with Dave on a Blue Shark Charter this summer (2013). Here’s how you can qualify to win. 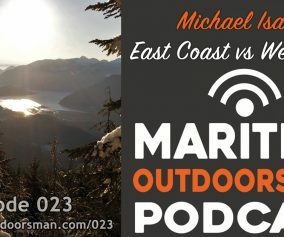 If you are a Facebook user, share a link to this episode with your Facebook friends. Alternatively you can send a link to this episode to a friend by email. 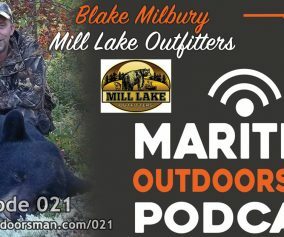 After you have shared a link to this episode, be sure you are subscribed to the Maritime Outdoorsman email newsletter by completing the secure form on the right side of this site. Once you have shared the episode and subscribed to our newsletter, there is just one more thing to do. Fill out the contact form on our about page, tell us what you have done, and you will be instantly qualified to win! We’ll pick the lucky winner on the first day of summer 2013 (June 21st). Dave, I have been fortunate to share the boat with Captain Art on several occasions and he has my highest recommendation. He is an outstanding charter Captain and is extremely knowledgeable on sharks. I think it is important to point out that he is a fully licensed Captain with all coast guard safety equipment on board. I hope to get out with him again in the near future, it is always a ball. Hi Rick. Thanks for listening and you are absolutely right… people should be aware that Art is fully licensed and they couldn’t be in better hands. I can speak from experience and am looking forward to doing a future episode about a crazy adventure I had with Art several years back. Tight lines Rick.